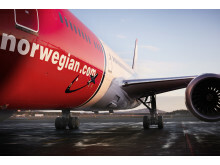 Norwegian - Norwegian offers more nonstop European destinations from the United States than any other European airline. 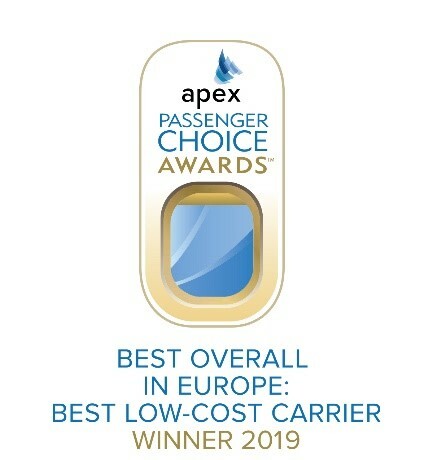 NEW YORK CITY (April 17, 2019)- Norwegian has been named ‘Best Low-Cost Carrier in Europe’ at the prestigious 2019 Passenger Choice Awards™. The APEX Passenger Choice Awards is one of the highest accolades in the industry as winners are directly voted by passengers on all aspects of the flight experience, ranging from seat comfort, cabin service, food and beverage, entertainment to Wi-Fi. 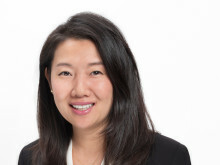 The APEX Passenger Choice Awards are based on passenger feedback gathered through APEX’s partnership with TripIt® from Concur®, the world’s highest-rated travel-organizing app. Using a five-star scale, more than one million flights were rated by passengers across nearly 500 airlines from around the world between July 1, 2017 and June 31, 2018. First, passengers rated their overall flight experience from one to five stars. On the same screen, passengers were given the opportunity to provide anonymous ratings in five subcategories: seat comfort, cabin service, food and beverage, entertainment, and Wi-Fi. The single screen rating allows airline passengers to easily rate their flight in less than 15 seconds. The Passenger Choice Awards were independently certified by a professional external auditing company hired by APEX. 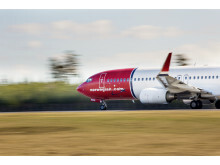 Norwegian is was one of the world’s most awarded low-cost airlines in 2018 being named the Most Fuel-Efficient Airline on Transatlantic Routes by the ICCT for a second time; World’s Best Low-Cost Long-Haul Airline for the fourth consecutive year and Europe’s Best Low-Cost Airline for the sixth consecutive year by Skytrax; Value Airline of the Year by Air Transport World; Favorite Budget Airline by Global Traveler Magazine; Best Wi-Fi in Europe and Best Overall Passenger Experience Low Cost Carrier Europe at the Passenger Choice Awards; Airline Program of the Year Europe and Africa at the Freddie Awards in recognition of the airline’s customer loyalty program – Norwegian reward; and Europe’s Leading Low-Cost Airline 2018 at the World Travel Awards. The airline operates a young and therefore more environmentally-friendly aircraft fleet with an average age of just 3.8 years. 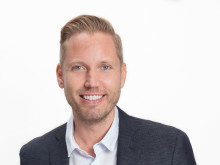 The International Council on Clean Transportation (ICCT) has named Norwegian the most fuel-efficient airline on Transatlantic routes for two consecutive years which further demonstrates the airline’s commitment to reducing carbon emissions. 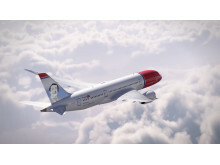 In an effort to minimize the inconvenience of the currently suspended 737 MAX 8 operations, Norwegian will operate a Boeing 787-9 Dreamliner aircraft on a temporary, daily basis from New York Stewart International Airport (SWF) to Dublin Airport. The airline will deploy the Dreamliner to operate flights in order to provide service to affected customers scheduled to fly from either Providence’s T.F. Green Airport (PVD) in Rhode Island or Stewart to Dublin. Customers currently booked on flights to Dublin will be rebooked on flights operating the 787-9 Dreamliner. Passengers scheduled to depart from Providence will be accommodated on buses from T.F. Green Airport to Stewart Airport. Customers will receive notifications and updates via SMS, on our website and through customer care services to ensure they are informed of the latest information. Norwegian would like to apologize to customers affected by this extraordinary situation as we remain committed to ensuring our passengers can continue to travel on Norwegian’s network. The Boeing 787-9 Dreamliner has 338 seats, of which 282 are in Economy and 56 are in Premium. Norwegian’s Boeing 737 MAX has 189 seats. Following the decision by the relevant aviation regulatory bodies to temporarily suspend operations of Boeing 737 MAX, Norwegian will not operate any flights with this aircraft type until further notice. All aircraft that are currently airborne will continue to its destination or return to home base. We are now working on re-allocating our fleet options with other aircraft types, re-bookings to other flights and combining flights to minimize inconvenience caused to our passengers. We would like to apologize to customers who are affected, but the safety and security of our customers and colleagues will never be compromised. 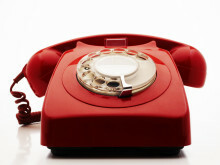 Affected passengers will be informed via SMS and our web pages. OSLO (March 12, 2019) - Following the decision by the relevant aviation regulatory bodies to temporarily suspend operations of Boeing 737 MAX, Norwegian will not operate any flights with this aircraft type until further notice. We remain in close dialogue with the aviation authorities and Boeing, and follow their instructions and recommendations. Norwegian offers more nonstop European destinations from the United States than any other European airline.